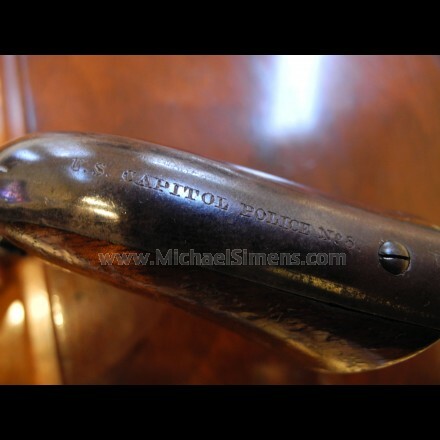 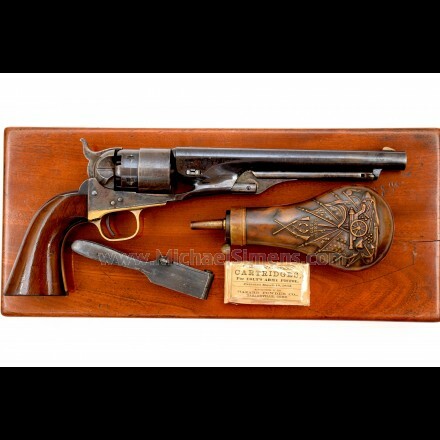 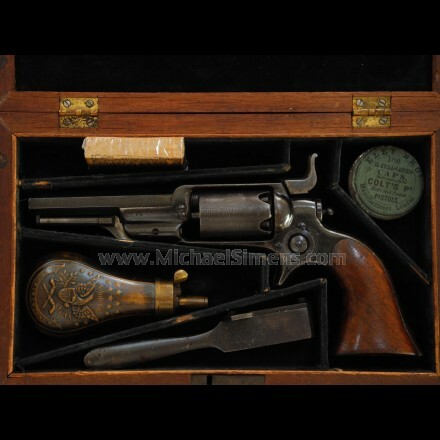 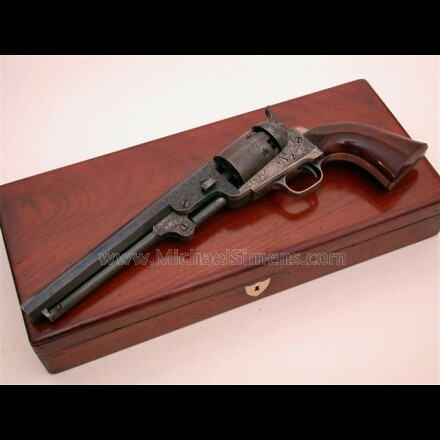 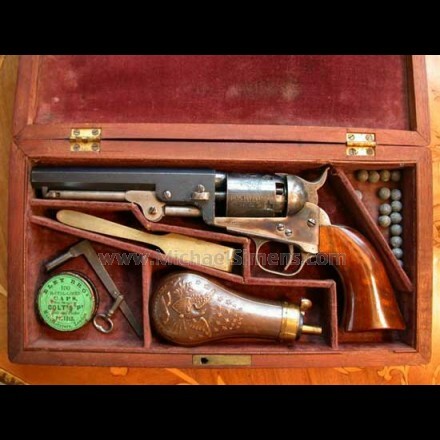 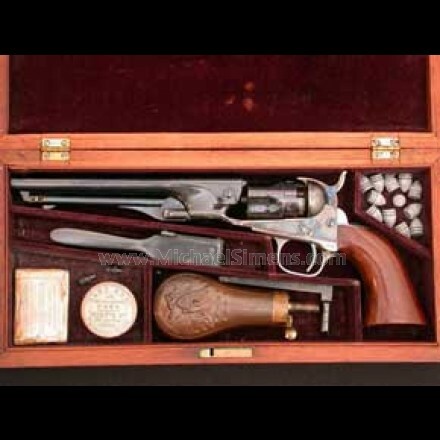 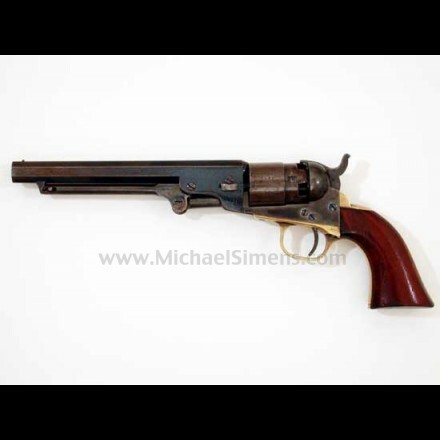 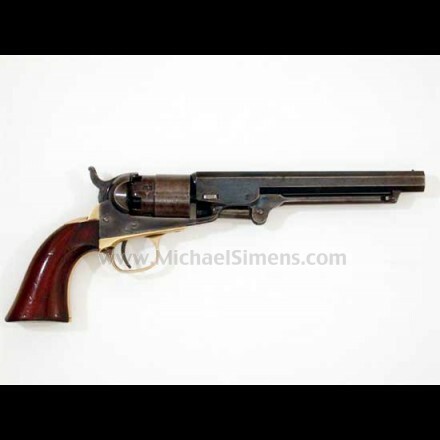 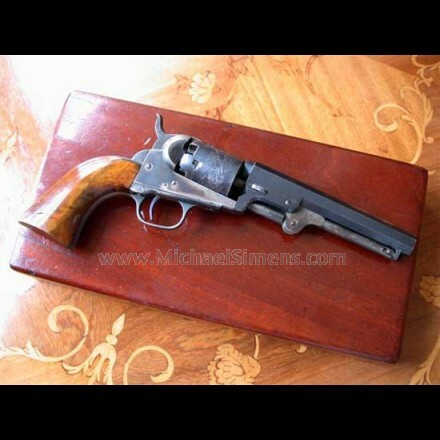 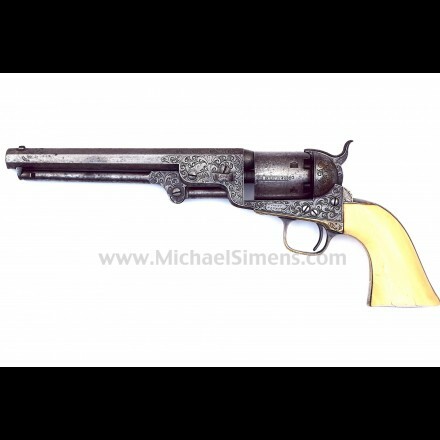 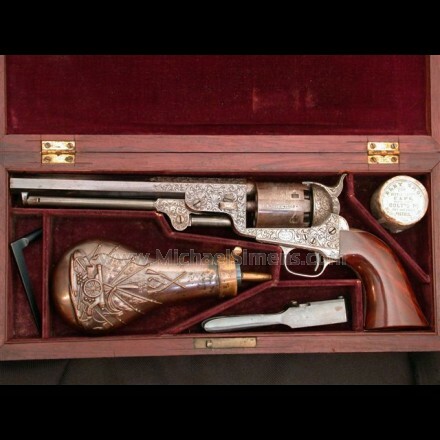 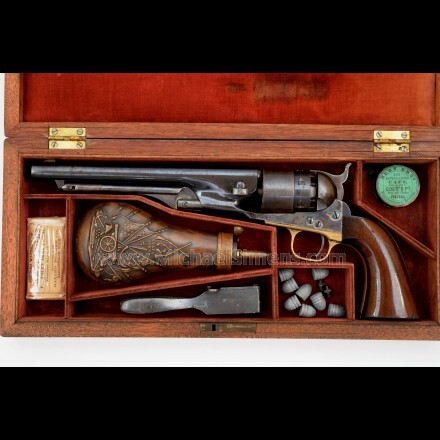 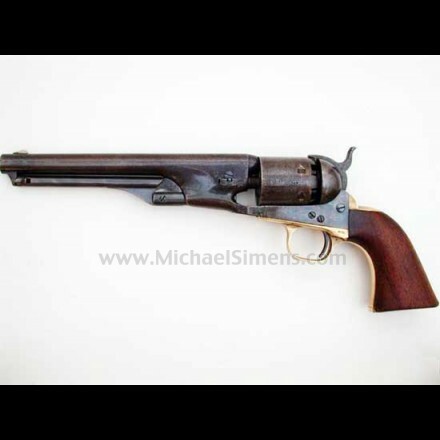 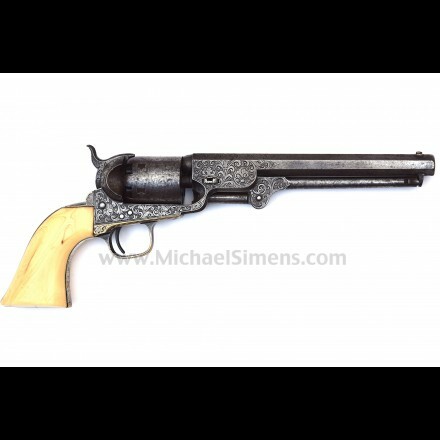 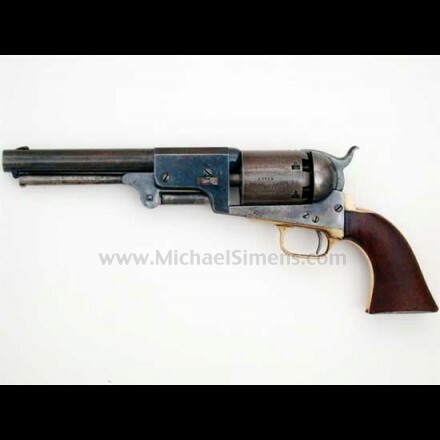 COLT 1851 NAVY REVOLVER, FACTORY ENGRAVED COLT PRESENTATION AND CASED WITH ALL ACCESSORIES. 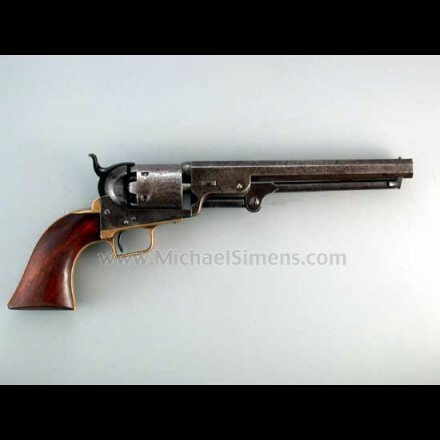 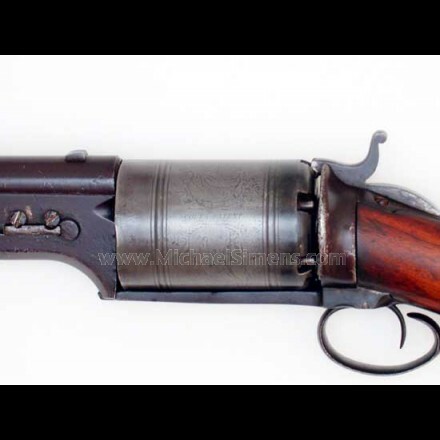 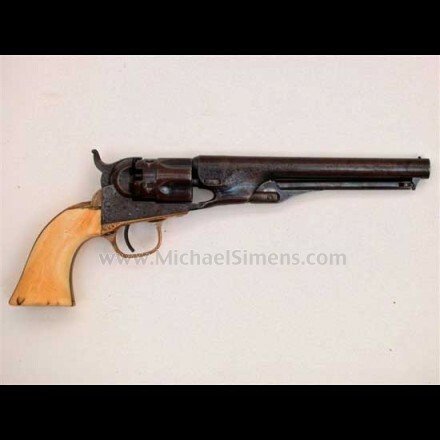 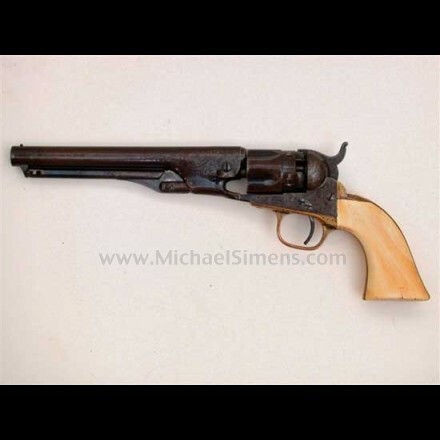 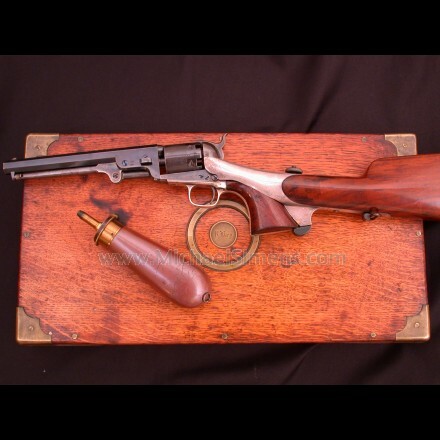 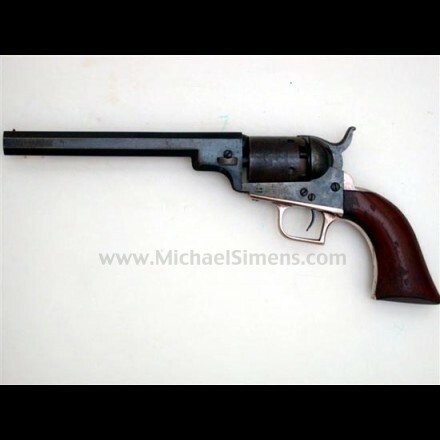 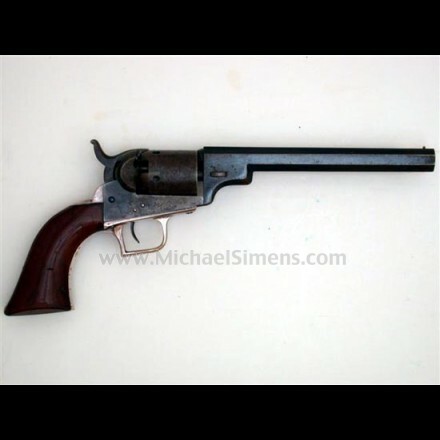 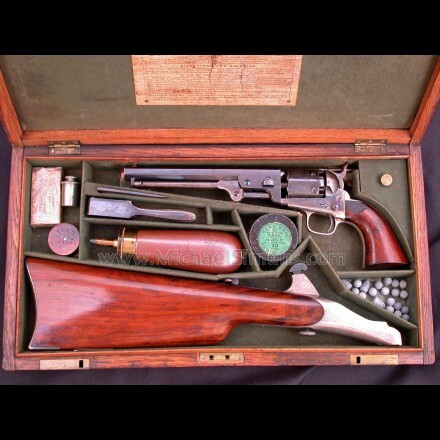 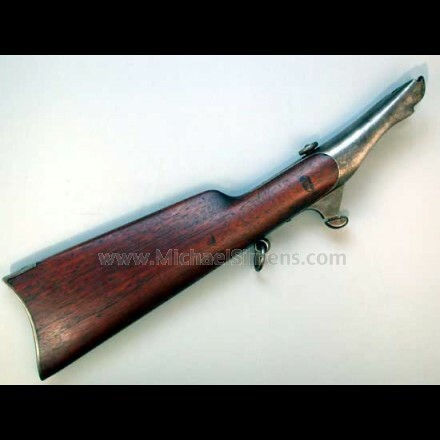 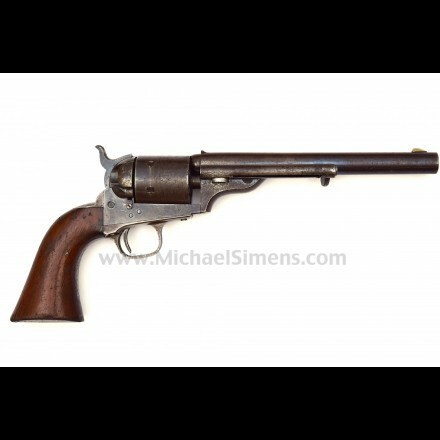 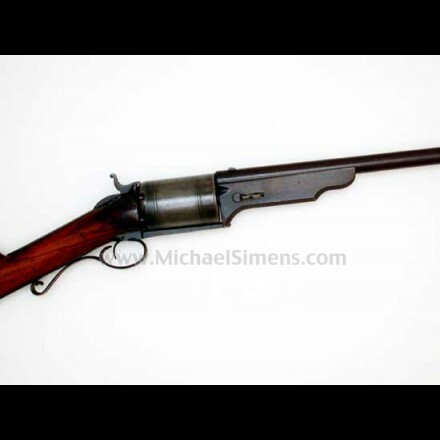 Colt 1851 First Model Squareback Navy. 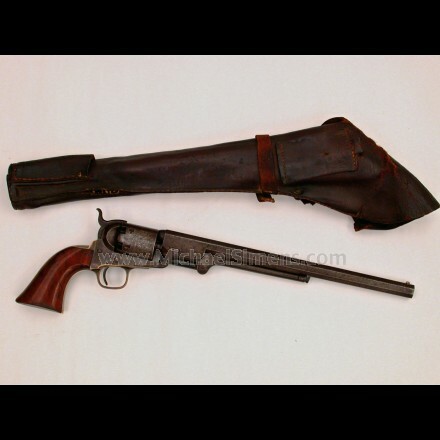 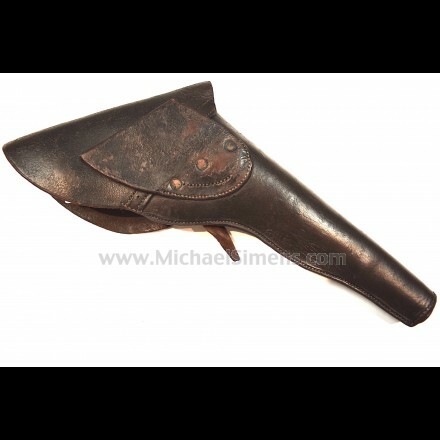 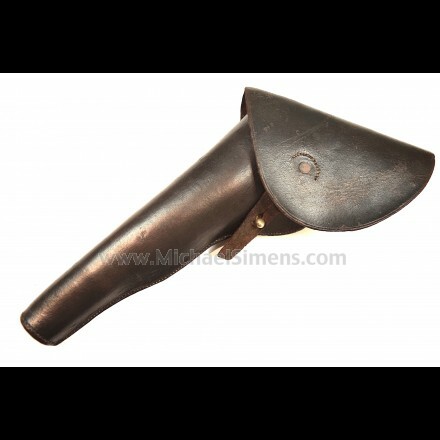 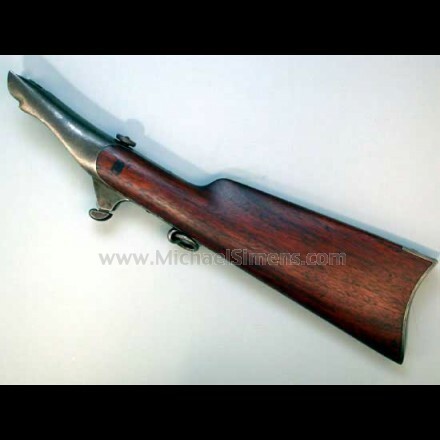 Colt Dragoon Revolver Shoulder Stock- Martially Marked. 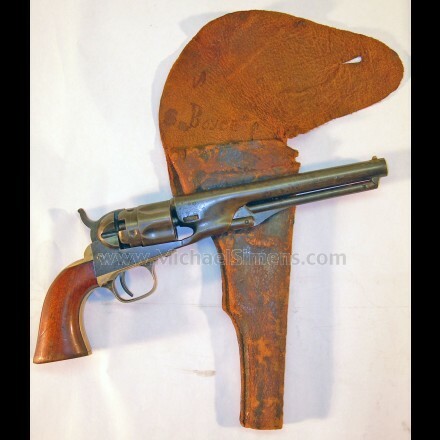 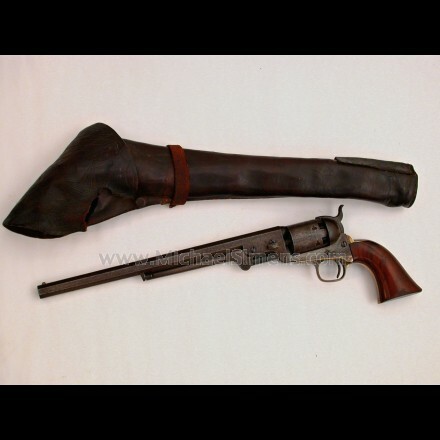 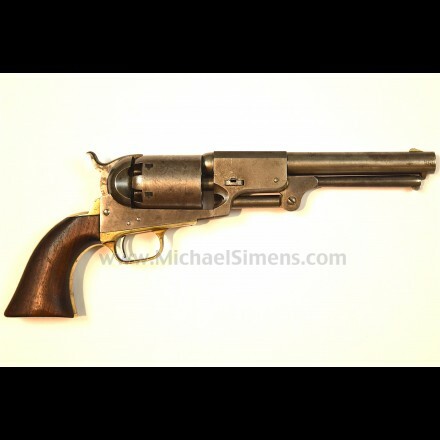 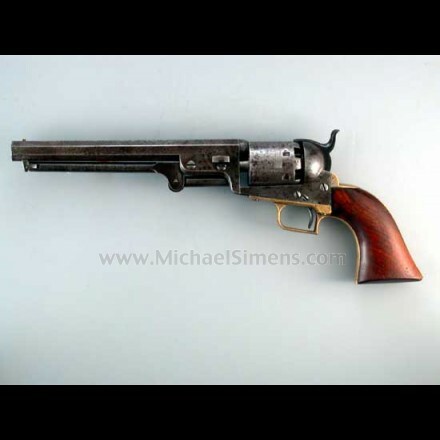 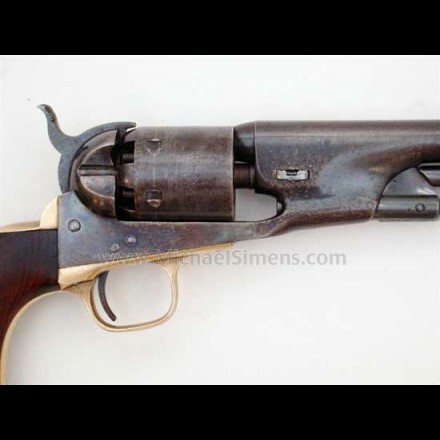 COLT BABY DRAGOON REVOLVER WITH 6" BARREL.